It is well known that remodeling the kitchen can be one of the best ways to add value to your home. Replacing your kitchen cabinets can give the room a fresh new look, yet this option can be extremely expensive. Kitchen cabinet refurbishing, on the other hand, can give you similar results at a fraction of the cost. Let’s look at some of the benefits of refacing or reglazing your kitchen cabinets and some of the best ways to do this. Benefits of Refinishing Kitchen Cabinets Refinishing your kitchen cabinets is a simple and cost effective way to renovate your kitchen. There are some good reasons to consider doing this. Savings -the cost of refinishing is substantially less than replacing kitchen cabinets. In fact, it often costs about one quarter the price. Convenience -This job can be completed in a few days whereas gutting can take months, saving them the cost and trouble of hiring outside help. This way, you can have use of your kitchen much sooner than if you were replacing your kitchen cabinets. 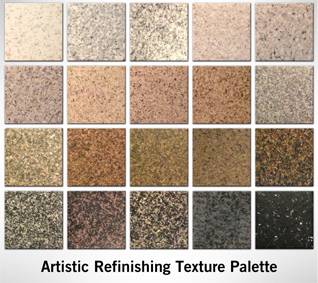 Customization -You can create just about any look you want when you refinish or reglaze your cabinets. This allows you to experiment with a new style or perhaps copy a design you have seen online, in a magazine or on television. While refinishing your kitchen cabinets is not a difficult job, it takes some planning. You want to choose the colors and style that is most suitable for the look you want. You can do some research and seek kitchen cabinets that you find appealing and recreate this look as much as possible. This is a simple task that can save you thousands of dollars while giving your kitchen a great new look. You are the artist, let us be your hands!